At Shutterfly, we know how precious your prints can be. After all, each picture is a memory to be treasured for years to come. So we make sure your prints will remain as fresh and clear as the day you took them. That’s because we use Fuji Crystal Archive paper and chemicals for your prints, the choice of professional photographers everywhere. We have an image to protect. Yours. You shouldn’t trust a once in a lifetime vacation picture or wedding portrait to any ordinary developing process. Our Fuji Crystal Archive paper ensures that colors will be brighter, whites will be sharper, and that your prints won’t fade or yellow. You’ll be able to show them in all their glory for years. The easy way to great pictures. 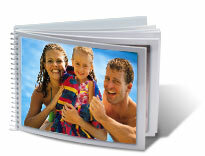 At Shutterfly, you’ll find value for your money, with our popular 4x6 prints available at everyday low prices. 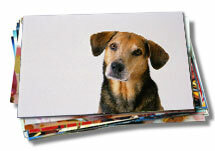 You can create and order prints and photo products right from your computer. We’ll deliver everything you order right to your door, making Shutterfly an affordable, hassle-free alternative to home printing.